The family narratives on this webpage are usually limited to straightline descendancy, but hearing the fascinating story and name of my wife Susan’s distant relative caught my attention. When I came upon the photo of a proud man astride a mighty black horse, I knew I had to share his story and pictures with my readers. All this is thanks to another distant cousin, Bob Grimes of Pittsburgh, who was searching for information on common Somerset County ancestors and e-mailed me. Turns out, there have been many common ancestors, but the one I’m about the share was somewhat uncommon, even down to his name: Lemon Grimes (1843-1928), to whom this article is dedicated. It all began with the marital merger of my wife’s Peterson and Lehmer families in the mid-18th century, a wonderful blend of Swedish and German genes. Ruel and Catherine Lehmer Peterson’s son John (1792-1859) had a daughter Sarah (1821-1901), who technically would have been a cousin to Susan because Sarah’s father John was a brother to Susan’s three-time great-grandmother Susannah Peterson Baush. Are you following all this so far? OK, Sarah married whom we’ll call him “Grandpa” Grimes and they produced little Lemon. For the purposes of this story, and to keep it simple, we’ll hust call Lemon a distant cousin to my wife. While there are no records of Sarah’s first marriage to “Grandpa” Grimes, we believe that he passed away, allowing Sarah to marry David Lohr. With that union, young 7-year old Lemon went to live first with his grandfather John Peterson and then with his uncle, John Peterson, Jr. That would not have been unusual in those days of large families. The Sara and David Lohr family would eventually have 7 children total. In 1861, at the age of 18, Lemon moved to the East Liberty section of Pittsburgh. Staying in the old Union Hotel, he became “friends” with the daughter of proprietor John Cyphers, and her name happened to be the same as his mother, Sarah. The problem was that Sarah was only 14-years old at the time. The following year, as did many other Pennsylvanians, Lemon enlisted to serve his country in the Civil War, 136th Regiment, Pennsylvania Volunteers, along side Philip Cyphers, the brother of his landlord. Among other frightening moments, they survived both the battles of Fredricksburg and Chancellorsville. Fifty-six men were lost in this enlistment, over half to disease. For some colorful details on these and other encounters, read about my family: “Our Grays in the Civil War.” Two years later, Lemon re-enlisted, only this time with the 4th Regiment, Kentucky Mounted Infantry, which fought for the North under the Army of the Ohio. Kentucky was at the crossroads of the Union and the Confederacy and the epitomy of “brother against brother.” The 4th Regiment rode throughout the South fighting for the North, losing 180 men in all, again mostly to disease. We don’t know how or why Lemon chose to serve so far from home, but again, he survived and came away with valuable training in patrolling on horseback. The war ended in 1865, and Lemon returned to Pittsburgh. By 1868 he had married Sarah. She was 20 years old then and he had just turned 25. In the next 15 years, the couple had 8 children, but tragically, Sarah died, leaving Lemon to care for the children. Surely, a family housekeeper was needed because Lemon was using his horsemanship skills away from home as a teamster. 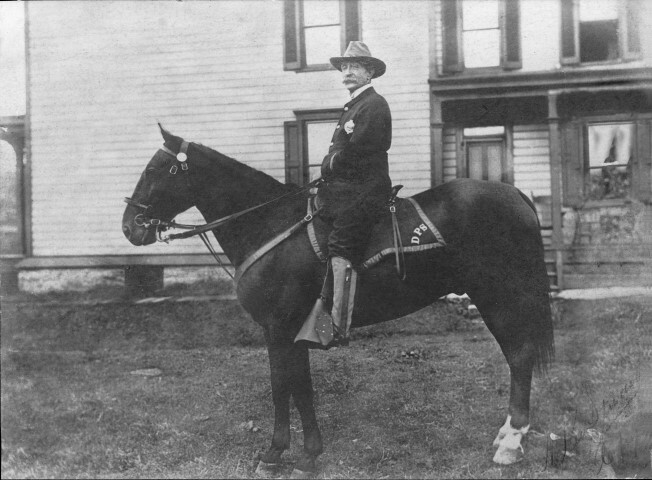 In 1890, he joined the Pittsburgh Police Department, becoming one of the first mounted policeman in the city, part of the famous “Black Horse Squadron.” (See the OCR section at the bottom of the 1917 Pittsburgh Daily Post article on the horse unit.) More about them in a minute, but let’s finish Lemon’s personal life. At the age of 59, Lemon married again, this time to Margaret Lenon (not to be confused with Lemon), age 34. Together, they had 4 children, although some records only list one. Again, Lemon outlived his second wife. After 20 years of marriage, Margaret died in 1922. 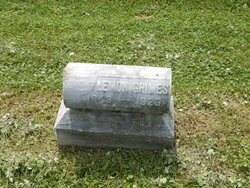 Lemon lived another 6 years and is buried at the Hebron United Presbyterian Church Cemetery in East Liberty. Lemon Grimes served with the Pittsburgh mounted police for a total of 20 years, retiring at age 67. Said to be the last surviving Civil War veteran in the city, he was active in veterans affairs and travelled to many Grand Army of the Republic (GAR) reunions. In googling the “Pittsburgh Black Horse Squadron,” I came upon several interesting stories. First, several years after Lemon retired, the department decided to cut the number of horses from 30 to 20. Reporting on the auction sale, the Pittsburgh Press headline of March 7, 1915 read, “Grief over sale of police horses.” Apparently, that year’s budget cut hit Pittsburghers in the heart. The Post-Gazette carried a story on April 7, 1930 about the aging of the black horses and how, perhaps tongue-in-cheek, the police might have to consider other colors. I remember, as a kid in the early 1960’s, being so impressed at seeing noble black horses patrolling the South Park fairgrounds, part of security for the annual Labor Day weekend festivities. They were part of the Allegheny County police detail, which apparently is still in existence with as few as 12 horses. The City of Pittsburgh had disbanded its brigade in 1954 after problems during labor disputes downtown. One investigation by a Pittsburgh TV station in 2013 questioned whether such an expense is still necessary at the County level since their appearances today are generally ceremonial. However, with the rise in urban unrest and terrorism, some public officials are calling for an expansion of the force to better handle crowds. 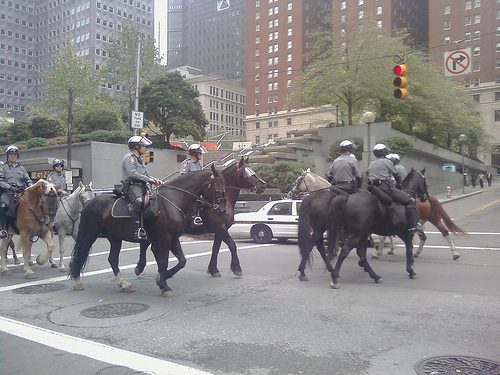 The City of Philadelphia re-established its mounted patrol in 2011. The Pennsylvania State Police have such a unit along with several other cities and counties in PA. That brings to mind that my Grandfather Wesley Pearce’s brother Wilbert served several years with the county mounted detail after 1927 in North Park when our family farm made way under eminent domain for the grand new recreational area. Much of the Park was undeveloped then and horseback was the only way to get around quickly. (See “Settlement at Pine Creek: Part III” for more details.) I guess the mounted police are just another thing my wife and I have in common. Before we go, let’s consider what brought my attention to Lemon Grimes in the first place: his name. BabyNameWizard.com claims that “Lemon” as a male first name reached its height of popularity in the 1880’s, although more recently, it’s 7.5 times more likely to be a girl’s name. Perhaps Lemon is a derivation of the biblical name Lemuel, often used years ago. Writer Jonathan Swift’s chief character’s first name in Gulliver’s Travel’s was Lemuel. Other internet sources say that the name was originally a surname, coming from the old Anglo-Saxon tribes of Britain, derived from the baptismal “son of Leman” or “Liefman.” Variations of the name include Leaman, Leman, Leeman, Limon and many more. Stretching from monuments in Suffolk to the first recorded Lemon in the United States in Virginia, 1647, famous Lemons today include George Meadow “Meadowlark” Lemon (1933-2015), who played 16,000 games with the Harlem Globetrotters; Robert Granville “Bob” Lemon (1920-2000), American League hall of famer; Jack Lemmon (1925-2001), Oscar-winning American actor; and many others. Not to short change the surname “Grimes,” we learned it was originally Norse-Viking with several variations: Grimm, Grim, and Grime, to name a few. The Olde English “grima” actually means “a mask” and was a name given to the Norse god Woden. Other theories pertain to the the more modern English word “grim,” a reference to perhaps a fierce warrior as suggested in the 1327 Sussex Subsidy Rolls. The famous Grimes are too numerous to mention here,stretching from athletes to musicians to world leaders. Interesting post. My grandfather was an original member of the Black Horse Squadron in Pittsburgh.